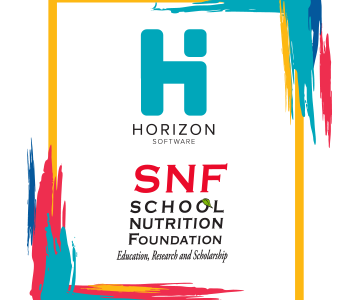 Horizon Software continues to enjoy a special partnership with the School Nutrition Foundation, which kicked off last year with a t-shirt sponsorship at #ANC18 and culminated in a donation matching campaign during National School Lunch Week. After a deadline extension, we ended up matching $5,400 of your donations to the School Nutrition Foundation! And we are extremely excited to do so again – this time, in person. 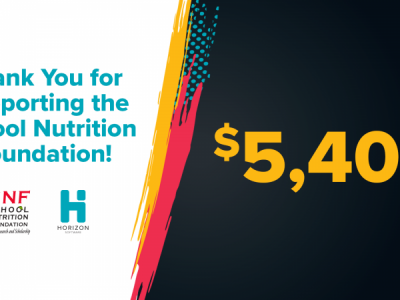 From now through July 16, 2019, visit a Horizon booth and mention the School Nutrition Foundation and we will make a donation on your behalf! The Horizon Team will be at eight state SNA Conferences (Georgia, Tennessee, Colorado, Utah, Ohio, Louisiana, Oklahoma and Texas) and will donate up to $500 at each state conference. And we will match up to $5,000 at our booth at the School Nutrition Association’s Annual National Conference in St. Louis. We look forward to supporting the Foundation’s initiatives and school nutrition professionals through our continued partnership with SNF. If you have any questions, contact Liz Roesel at lroesel@horizonsoftware.com.